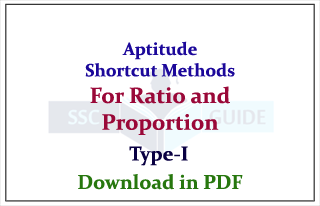 Aptitude Shortcut methods and tricks for Ratio and Proportion were given below. Candidates those who are preparing for SSC/FCI and all other competitive Exams can also download this in PDF. A bag contains 1rupee, 50 paise and 10 paise coins in the ratio 3:4:10 amounting to Rs.102. Find the number of 10paise coins?